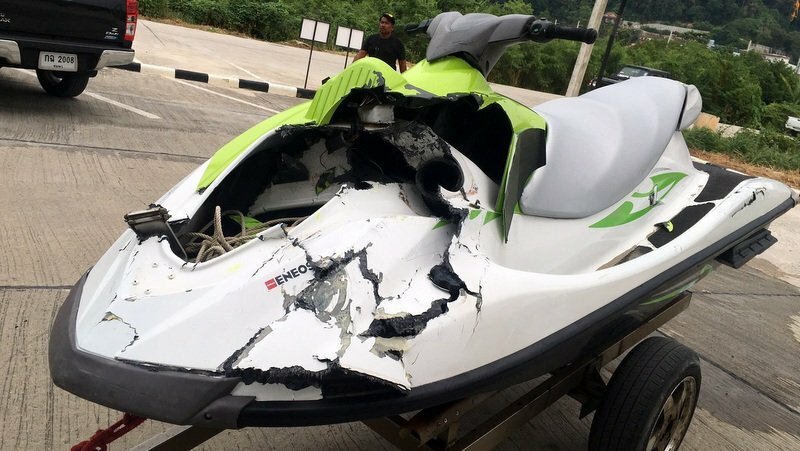 PHUKET: Two Russian women who were only passengers on two jet-skis that collided off Kata Noi Beach yesterday have been charged with recklessness causing injury to others – the same charge and fine as levied on the two Russian men who were actually driving the jet-skis. The women, Tatiana Lysova, 23, and Olga Isaicheva, 30, were sitting on jet-skis being driven by Ivan Smoliagin, 36, and Ivan Fediaey, 31, respectively, when the two jet-skis collided, explained Capt Weerayut Thansirisookworakun of the Karon Police this morning (Jan 29). 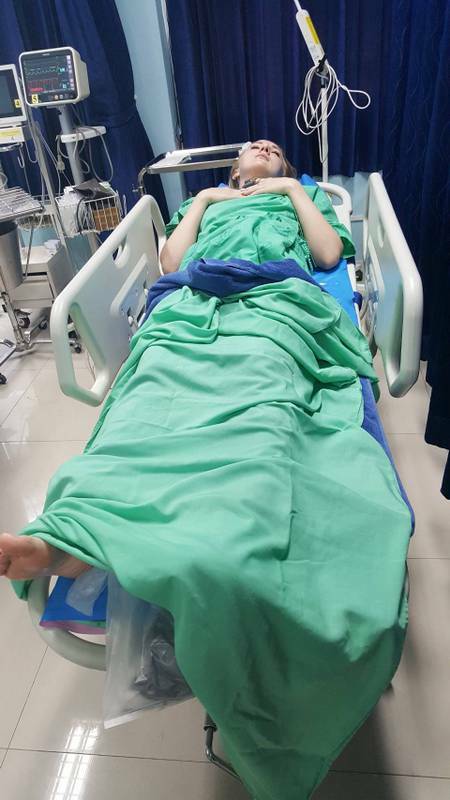 Doctors conducted x-rays and medical examinations and confirmed that her injuries were not serious and she was discharged from medical care, Capt Weerayut confirmed. None of the other three suffered any serious injuries in the collision, he added. The four were on a holiday package provided by Biblio-Globus tour company, Capt Weerayut said. “They were staying at The Crib Patong hotel. They came to Kata Noi Beach and rented two jet-skis,’ he said. Ivan Smoliagin was driving a red jet-ski, owned by Sakun Kaewsakorn, with Ms Lysova sitting behind as passenger, Capt Weerayut explained. Mr Ivan Fediaey was driving a green jet-ski, owned by Prakit Sornin, with Ms Isaicneva riding behind as passenger, he added. “Mr Prakit (the owner of one of the jet-skis) said that the four were teasing each other on the jet-skis and in the end they collided and damaged the jet-skis,” Capt Weerayut told The Phuket News this morning. “All four Russian tourists were charged with recklessness causing injury to others and each were fined B1,000,” Capt Weerayut confirmed. However, the amount of compensation for damage to the jet-skis remains to be negotiated, he said. “I can’t be sure about the compensation for damage to the jet-skis. That’s their business to talk about the cost. I am out of this part,” Capt Weerayut said. “The amount might depend on the on the jet-skis’ insurance policies. They will come to talk about it at the police station this afternoon,” he said. “I will note the cost of the damage in the police report,” Capt Weerayut noted. However, Capt Weerayut made no mention of the Russians operating a jet-ski without a Class 2 Helmsmen’s license, as required by law. Also, there was no mention of any charges against the jet-ski operators for profitting from a business that illegally rents out vehicles to persons who do not have the requisite license. Capt Weerayut also gave no explanation as to why the two Russian women, who were only passengers and not actually operating the jet-skis, were charged for recklessness causing injury to others. Oh goody- Insp K is on the case. Poor RTP captain W. The good man must suffer a heat stroke. 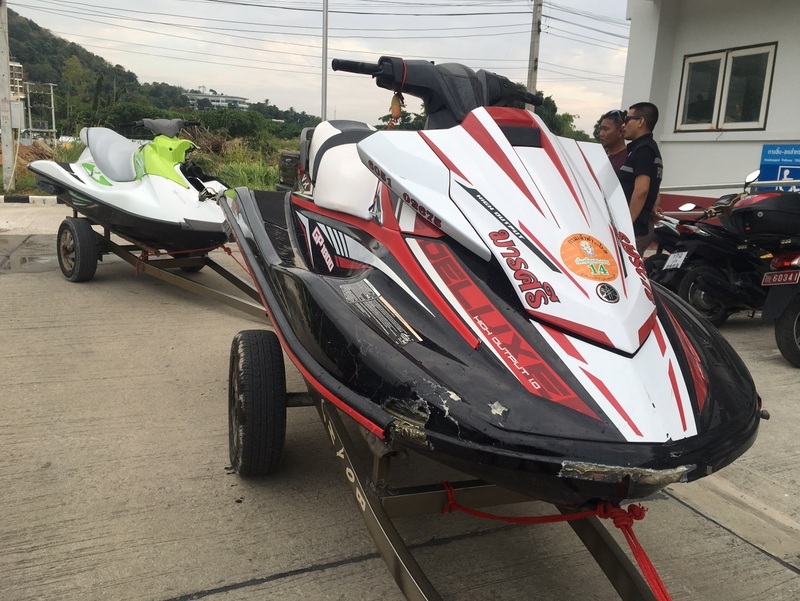 1: No fine for thai rental company to rent out jet skies to unlicensed tourists? Captain W. forgot that his superiors always say:  " we should treat with fairness to both parties". A worldwide laugh! Thai logic, so, if a tourist bus crashes, then the passengers will be charged, of a boat, plane etc.... this is a very strange place. Just claim brake failure! It seems to work every time.